Titan Laser technology is ideal for tightening loose skin that sags due to aging. Not only can it help lift and firm your skin now, but it also stimulates further collagen production to help with skin tightening months down the line. At the office of Dana M. Goldberg MD, we offer Titan treatment that can help you have tighter, smoother skin in several problem areas. What Can Titan Laser Skin Treatment Be Used For? Titan technology boosts your collagen production, so it is ideal for areas where the skin is sagging. It is commonly used in areas such as the jowls, chest, the skin under the neck, and the knees and elbows. Titan is a popular choice for treating sagging skin on the abdomen as well. How Does Titan Laser Skin Tightening Work? Titan laser technology uses infrared light to heat the dermis, delivering heat deep beneath the skin’s surface while also continuously cooling the skin. Although the process isn’t especially painful for most people, the body recognizes the heating of the dermis as an “injury” and stimulates the collagen at the site to increase production as a way of healing. That in turn leads to tighter, firmer skin. Titan treatment has little to no downtime. You might have some mild swelling or redness, but these side effects generally disappear within just a few hours. Does It Take Long to See Results from Titan Treatments? Generally, you’ll see results from your Titan treatment in 2-6 months from the start of the treatments. For best results, we generally recommend a course of three treatments at 6-week intervals. 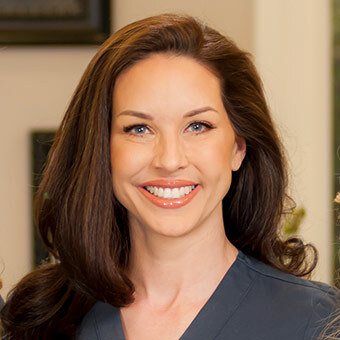 If you’re looking for a nonsurgical skin treatment that can help reverse some of the sagging and wrinkling of aging, Titan may be an excellent choice. Give our office a call to find out more about what Titan Laser technology can do for you.